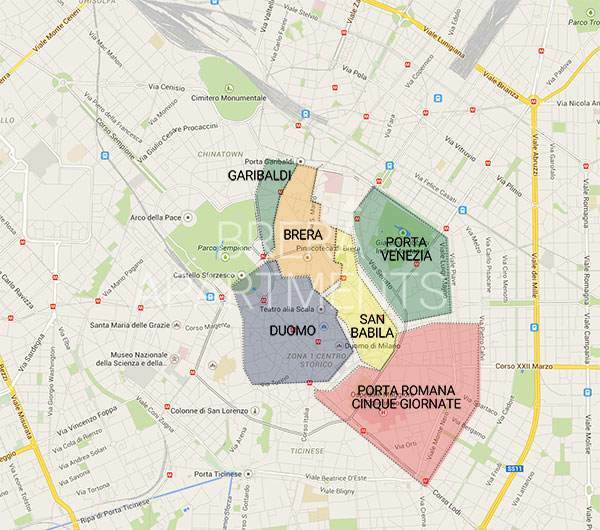 All Brera Apartments are located in the center of Milan. In the city’s most prestigious districts, near the subway stops and major services, the Brera Apartments are perfect for vacations and for experiencing Milan as the “Milanese” do. For the Fashionweek shows and for shopping, for a visit to the Cenacolo museum and for discovering the famous monuments in the historic center, the Furnishings Salon, or spending evenings in the Navigli district and trendiest night spots, enjoying a classic “aperitivo alla milanese” and dinner at the renowned restaurants of internationally acclaimed Master Chefs, the Brera Apartments are always in the right location. Discover here the one that suits you best.